The Lenox® brand has been in the industry for over 90 years and has some of the best products in the industry. They are a great team and family that stands behind their product and more importantly their distributors. They are the leaders in cutting technology and are always improving their standards and processes to bring the end customer the best product for their application. BTM Saws has over 40 years of experience when it comes to manufacturing high-quality band saws. They provide special attention to creating saws with long-lasting blade lives, and they offer a wide range of band saws in order to meet your metal cutting requirements. 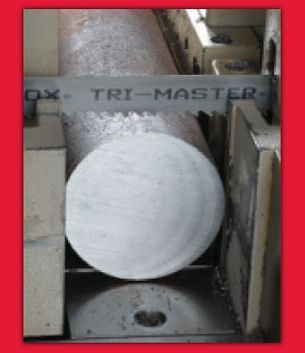 Norton®, is a leader in the abrasives industry. They are a brand of Saint Gobain, and their operations provide solutions to industries including the automotive, construction and manufacturing industries. The Fuchs Group was founded in 1931, and has become recognized internationally as an innovative business. They have grown their operations to include facilities in over 40 countries, and they are currently the largest independent manufacturer of specialty lubricants. Since 1931, the people of Peerless Saw Company have done a great job developing a reputation as a solid company of caring employees who make and sell reliable products. Their team considers it a privilege to carry on this reputation, and they strive to continue treating their customer, employees and suppliers with respect.